Gerald R. "Jerry" Brown, 85, of Quincy, passed away at 6:31 a.m. Wednesday (September 5, 2018) in his home. Born August 18, 1933 in Golden, Illinois, Jerry was the son of Lennie Grant and Velta Mildred Lane Brown. He married Carolyn "Babe" Karhoff of July 17, 1959 in Quincy. She preceded him in death on April 3, 1991. He married Phyllis Henze on October 26, 1991 in Quincy. She survives. Mr. Brown proudly served his country in the U. S. Army during the Korean War. In 2014, Jerry was able to take part in going to Washington on an Honor Flight trip. Jerry was a member of Union United Methodist Church, Quincy V.F.W. Post 5129, North Side Boat Club, South Side Boat Club and the Adams County Volunteer Emergency Corps. He was a member of the Gardner Denver Quarter Century Club and a 60 year member of the Machinist Lodge 822. 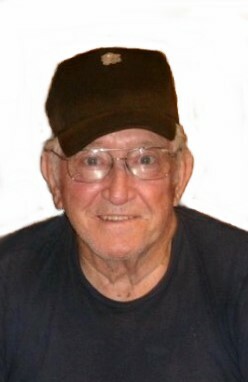 Jerry owned and operated Brown Towing and Auto Repair Service for 42 years and was employed as a machinist at Gardner Denver for 41 years until his retirement in 1995. Survivors include his wife, Phyllis; two daughters, Kim Tournear (Larry) of Quincy and Gayla Green (George) of Philadelphia, MO; four grandchildren, Amanda Sue Tournear, Cara Sue Tarpein (James), Shelby R. Griffin and Carolyn Louise Tournear; five great grandchildren, Haylie Griffin, Lexi Danforth, Sunny Epperson, Shelby M. Griffin and Kelsey Sue Griffin with a great grandson due in September, 2018. Also surviving are two step sons, Jeff Beecher of Quincy and Randy Beecher (Joy) of Sherwood, AR; and several nieces and nephews. Mr. Brown was preceded in death by his parents; his first wife, Carolyn "Babe" Brown; and a brother, Ray Brown. Funeral services will be held Saturday morning at 10:00 in the Zehender Robinson Stormer Cookson Funeral Home with Pastor Kyle Frink officiating. Burial with Military Honors by the Bear Creek American Legion Post and the Illinois National Guard Funeral Honors Detail will be in the Mendon Cemetery, Mendon, Illinois. Visitation will be Friday evening from 4:00 to 7:00 and Saturday morning from 9:30 until the time of services at the funeral home. Memorials may be made to Camp Callahan.